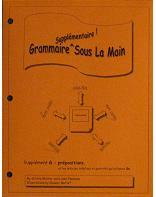 To complement Grammaire Sous La Main™, Grammaire Supplémentaire Sous La Main™ is a series of 9 supplements of additional activities, each supplement having a concentrated focus on a specific language area. 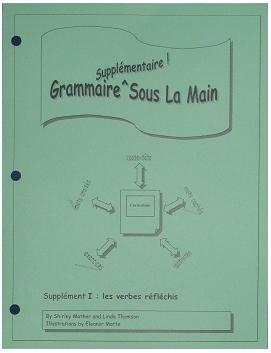 With the two binders of Grammaire Sous La Main™ you have a little bit of everything in terms of basic grammar expectations. This is great if your students' levels cover a wide range. With Grammaire Supplémentaire Sous La Main™, the books are much smaller but each are a concentrated focus on one language learning area. Teachers often recognize a few areas where they need more resources to enhance their students' learning. Over the years we surveyed teachers at language teacher's conferences, asking them which areas they felt they were in most need of assistance. The supplements below were written in response to these surveys. 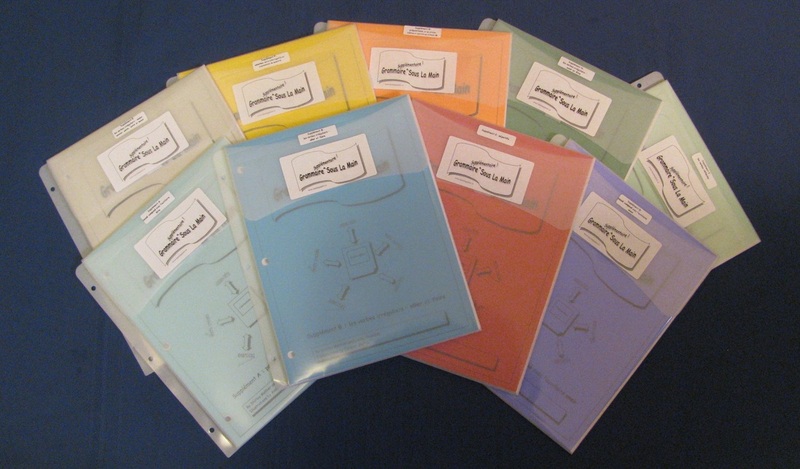 _These supplements come packaged in Stash-It™ Binder Pockets, making it easy for teachers to either add them to their existing Grammaire Sous La Main™ binders or to keep them separate yet intact. 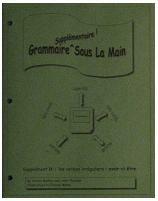 For information on, or to order the binders of Grammaire Sous La Main™, click here. For the français sous la main™ series click here. _If you would prefer to print off and mail an order form to LearningSpirit, click here.